The past couple of years in Google design can be summarized as this evolution: adding colors, then making things whiter, then offering a black option. 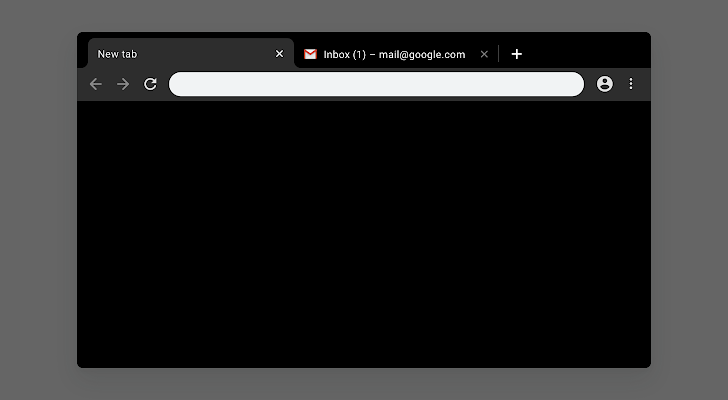 Chrome on the desktop has always been white, so what it lacked where the colors and black, but thanks to a dozen new themes, you can now paint your browser with many new shades, including a Just Black option. The new themes aren't third-party creations. They come straight from Google and can be applied directly by opening any of their pages and choosing the Add to Chrome option in the blue box (top right). Once the theme is applied, you can instantly undo it, or reset to default by going to chrome://settings/appearance. 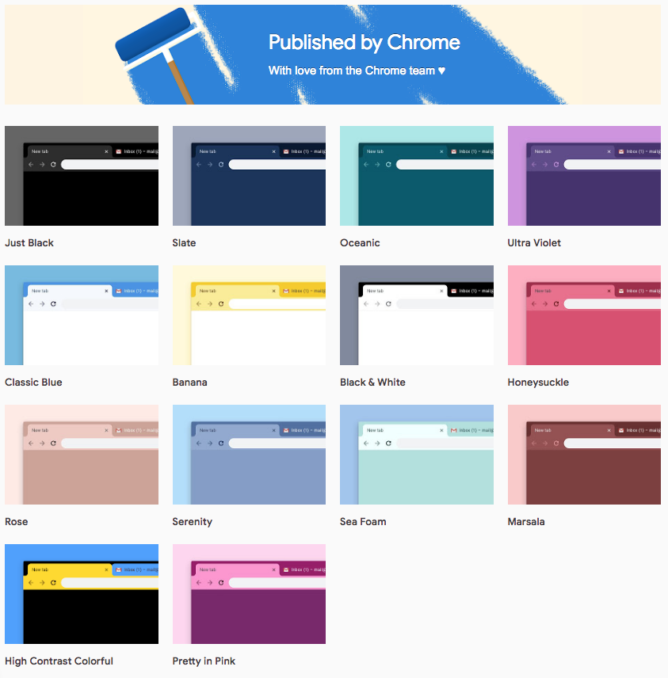 Among the themes coming from Google, Classic Blue and Black & White have existed for a while (if our memory serves us well), but have also been recently updated. The other 12 are new, and include classy options such as Slate, weird ones like Banana, and eye-assaulting ones like High Contrast Colorful. The themes work on all releases of Chrome, but if you apply them on Chrome Stable, the omnibox will stay white. This apparently is being fixed in later versions (and should already work in Canary). Though keep in mind that theming doesn't seem to affect all menus and options - the proper dark mode is a different story.